In less than a month (please join me in feeling terrified) I’ll be heading to Leipzig, Germany with Rachel Wittel and a few others for about a month and a half. I heard through the grapevine that Leipzig is just a real sweetheart and is totally stoked to play host for us, so I decided to find out as much as I could before our destined meeting. It turns out, the great ‘Hypezig’ (more on that soon) has been on the map for, coming up in 2015, one thousand years. Anyone wanna get hyphy at a millennial party? Before the Magna Carta was drafted, before Christopher Columbus’ grandfather was born, even before the Crusaders sacked Constantinople, Leipzig (or urbs Libzi as it was first declared in 1015) was a cultural and commercial hub with international connections. The city lay at the intersection of Via Regia and Via Imperii, two important medieval trade routes, and has developed as a trade center ever since. The Leipzig Trade Fair has existed since at least 1165 and is the oldest such event in Europe. Today the Leipziger Buchmesse (detailed on LVZ’s Blog) joins the Trade Fair as the 2nd largest book fair in Europe. You simply cannot experience Leipzig without seeing and learning about all its landmarks. Some of the most recognizable are the Thomaskirche (St. Thomas Church), the Gewandhaus opera house, and the controversial Völkerschlachtdenkmal (Battle of the Nations) monument, which commemorates the defeat of Napoleon’s armies at Leipzig in 1813. These places are only a glimpse of Leipzig’s vibrant history. Finally, Leipzig is a city of music. Home to musical geniuses Felix Mendelssohn, Johann Sebastian Bach, and Richard Wagner, the city boasts a musical pedigree unlike any other. Today’s Gewandhaus is the third edition of the building, housing Leipzig’s unique blend of concert and theatre orchestras. The Gewandhaus has played host to a Who’s Who of musical legend: Mozart, Beethoven, Tchaikovsky, Brahms, and Strauss all performed here throughout its illustrious history. Today there are several statues honoring Leipzig’s musical heroes. Well I’m coming for you soon, Leipzig, and I can tell that we are gonna be friends. The chances are overwhelming that you’re not Burghart Klaussner. I’m also willing to bet you’ve never come home to burglars rearranging your furniture as a form of political discourse. In ‘The Edukators,’ a 2004 Palme d’Or nominee at the Cannes Film Festival, you can see just that in a sneakily riveting indie flick. Two of the first German actors with whom I ever became familiar were Daniel Brühl (Private Friedrich Zöller in Inglorious Basterds) and Burghart Klaussner (from Goodbye Lenin! and Yella), and together they form a divisive duo atop this cast. Brühl plays Jan, a left-leaning revolutionary bent on sending the rich capitalists a message. He and his friend Peter (played by Stipe Erceg) break into wealthy homes and rearrange furniture before leaving notes like, “Your days of plenty are over” or simply, “You have too much money.” That second one is cheesy I know, but imagine seeing that plastered across your wall while all your furniture stands in the corner in a magnificent heap. The attack on their sense of security is the most powerful. Their string of successful break-ins comes to a stop though when Hardenberg, played by the unshakable Burghart Klaussner, catches them in the act. The plot turns noticeably darker in this scene when Jan has to incapacitate Hardenberg until they figure out their next step. Jule and Hardenberg meet again. I’ll leave some plot to the imagination, but what follows is the crux of the film, as the Edukators and Hardenberg have a series of long, in-depth conversations about the differences between the rich and poor in a capitalist society, something to which all Germans had to adjust following the fall of the Berlin Wall. Much like a lot of recent literature, the film tells of a struggle to maintain one’s identity in a changing world. Jan and Hardenberg realize their similarities. It’s hard to see past the glaring holes in the revolutionaries’ plan, wherein they have no idea how society would function if their plans actually succeeded, but I found at the heart of the film a more important lesson. As the four protagonists live and converse in the wooded mountains of Austria, Hardenberg goes through a brief transformation where he relates his own youth to that of the Edukators. It turns out he was the spitting image of their ‘free love, anti-establishment’ ways, until he grew up and adopted capitalism in order to pay the bills. At a closer look though, I watched the characters realize that their struggle was not so important as the fact that they fought proactively to establish their identity. It’s a good message for post-Wall Germans and viewers alike, that although society may not play itself out as we’d hope, it’s nonetheless important to struggle for our own place and identity. The viewer is left to ponder his or her own opinions but Weingartner presents an intelligible, well-constructed argument against capitalism that at the very least makes the viewer step back and wonder, and I believe that to be a vital aspect to spinning a good yarn. All pictures courtesy of Echte Tunus from his blog. The Leipzig Book Fair is the most important spring meeting place for the publishing and media sector and has evolved into an attractive hallmark both in Germany and across Europe. 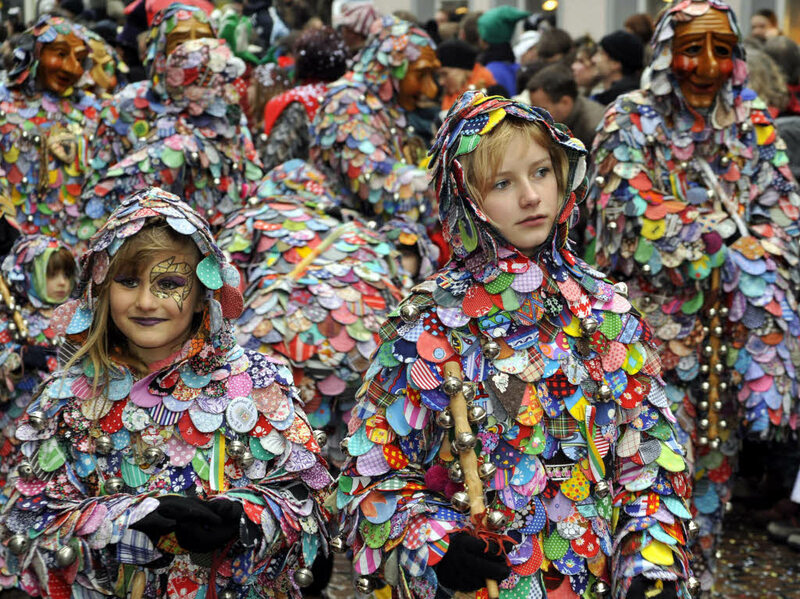 In a nutshell, the aim of the Leipzig Book Fair is to drum up more publicity for books. Held every March, it’s a massive draw for publishers, writers, readers and journalists. An ideal communication platform, the Leipzig Book Fair provides extensive information about new publications as well as current and future trends in the German-speaking and European markets. This year is the 23rd modern installation of the fair, featuring two major themes. The first is the “Auftritt Schweiz” (Appearance Swiss, or ‘the Swiss image’) sponsored by the Schweizer Buchhändler- und Verleger Verband (Swiss Booksellers and Publishers Association) and will showcase numerous Swiss musicians, authors, poets, and more at dozens of places around the city. You can see and hear a Visual Reading at the Leipzig Zoo or even see an outdoor Exhibition of Comic Art at the Moritzbastei. All of these events are aimed at promoting Swiss literature in Leipzig and the surrounding regions, and fostering friendship between die Schweizer and die Sachsen. The second part of this year’s fair is a program known as ‘Tranzyt. Miles 2014: Literatur aus Polen, der Ukraine, und Belarus.’ The goal of this program is to introduce “new, interesting authors from the region of Central and Eastern Europe to a wider public and to promote their publications with German language publishers.” In this article by the Leipziger Volkszeitung, program curator Martin Pollack explains the purpose of Tranzyt is to focus compassionately on literature amidst the recent political events in Eastern Europe, even now with Ukrainian affairs having taken the world stage. In this interview with Oliver Zille by Helga King, he relates the history of Leipzig as a literary hub past and present, explains the goals of this year’s fair, and tells us the fair has 3,000 authors, 3,200 events, and 410 reading places scheduled throughout the city. It’s easy to disregard something that seems as innocuous as a book fair, but on the same token it’s just easy to make real-life connections to people, places, and events through literature; and there’s no better way to understand both your neighbors and those foreign to you than by delving into their language and culture. At Leipzig Liest, the city and the participants make a conscious effort to explore, promote, and learn about different cultures; three tactics that define the well-educated and well-traveled person of the modern world. 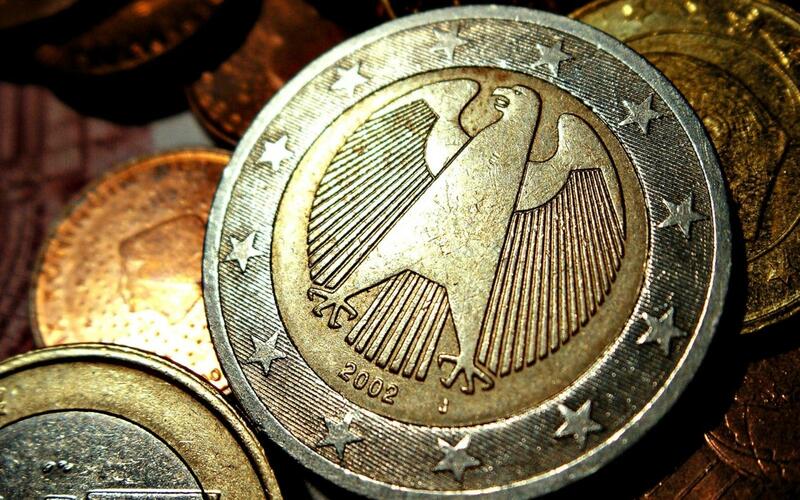 Will Germany Abandon the Euro? As it stands, the solutions to Europe’s growing financial crisis are weakening by the day. As recently as the 3rd fiscal quarter of last year, countries such as Greece, Italy, and Portugal had debt ratios as high as 128% (with Greece taking the cake at a whopping 171.8%)! What is a debt ratio exactly (explained by smart people here)? Basically, it’s a measurement that tells you how much money a country owes, divided by its gross domestic product (money owed versus money made). That means these failing countries owe vast amounts more than the entirety of their country’s products can pay, a sour position indeed. As the proclaimed economic powerhouse of Europe, Germany may need to abandon the Euro altogether, according to Dr. Peter Morici. At this point, Morici says, unemployment has exceeded Great Depression levels in several countries, and “slashing government spending and labor market reforms have neither restored Club Med economies nor their governments to solvency.” So what does that mean? We all know the EU has implemented numerous austerity measures throughout its member nations, but it now seems evident that those solutions still aren’t panning out. Governments have tried to cut spending at alarming rates all the while sovereign debts continue to grow. While there’s no shortage of debate on the future of the Euro, it remains to be seen if Germans will soon be trading in Euros for Deutsch Marks. Regardless, any major shifts in international currency and trading will certainly cause major changes across the economic world.